Invisalign for straightening teeth and correcting your bite without brackets or wires. Dental Implants for replacing missing teeth or securing a bridge or denture. Wisdom teeth Extractions because most people don’t have room for them, they can cause pain, and are very difficult to keep clean. 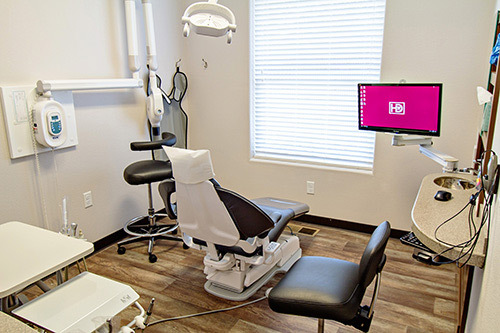 Sedation for taking the anxiety out of your dental appointment. 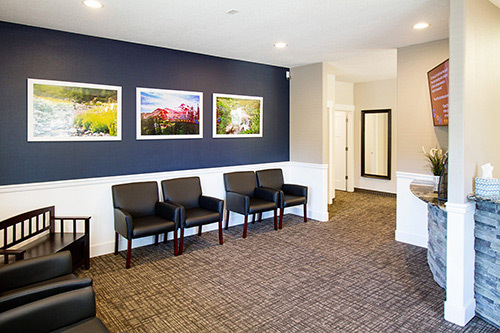 We are currently accepting new patients and excited at the opportunity to assist with your oral health needs. No insurance? We have a solution! 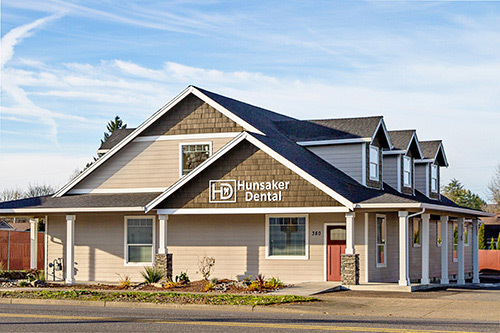 Hunsaker Dental - Monmouth, has been the best dental experience I have ever had and I've been seeing dentist since I was 4 years old. They treat you with value and respect- they're also fun too. I LOVE this office. I have avoided the dentist for a while because I always felt belittled, but not here. They are in communication with my orthodontist, so that I don't have to relay EVERYTHING. From the second that I walked in I felt welcomed and non judged. All the staff that I had interacted with went above and beyond to make me feel comfortable, I really appreciate that. I will refer anyone who needs a new dentist. Yesterday - a Friday - I chipped my front tooth. Forty-five minutes later, I was sitting in Dr. Hunsaker's dental chair, and less than two hours after 'the great tooth incident of 2018' - it was fixed. I wasn't a patient of this clinic. But my dentist was out of town for a month, so I took a chance and called Hunsaker Dental. I'm glad I did! 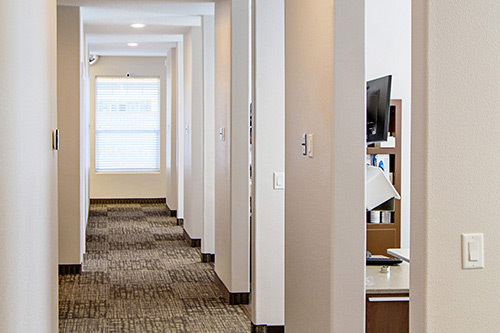 Not only did they work me in immediately, but every person there is uber friendly, from Dr. Hunsaker himself, to staff members Leia and Shelley. They made it so comfortable - I felt like I'd been going for years. They were competent, and my tooth looks better than it did before it was chipped! I am very impressed. You've gained a client, Hunsaker Dental. Thank you for taking such good care of me. There is not enough wonderful things to say about the staff and Dr. Stringham. Not only was everyone very polite and welcoming, but the service provided as well as the facility was absolutely phenomenal. Shelley, the financial adviser, was fantastic at breaking down all of the information and presenting it in an easy to read format. Maria was the best dental assistant I have ever had the pleasure of meeting and made me feel very comfortable and confident. Babsy was wonderful and a delight to meet. And Dr. Stringham, along with the staff, truly made me feel like I have never been in better hands. I am thoroughly impressed and am not only excited for my next visit, but can not wait to tell others to give them a call! Great experience with a friendly, capable staff. My first ever filling was painless thanks to Dr Matt's skilled work and my hygienist Maria got my teeth cleaner than they have ever been. Worth the drive from Salem and a no-brainer for anyone in the Monmouth/Independence area. Looking For a New Dental Career?